London’s International Property Awards recognized Basel Almisshal’s signature design of the Palestinian Embassy in Muscat as “Best Public Service Architecture” in the Middle East and Africa in 2013. 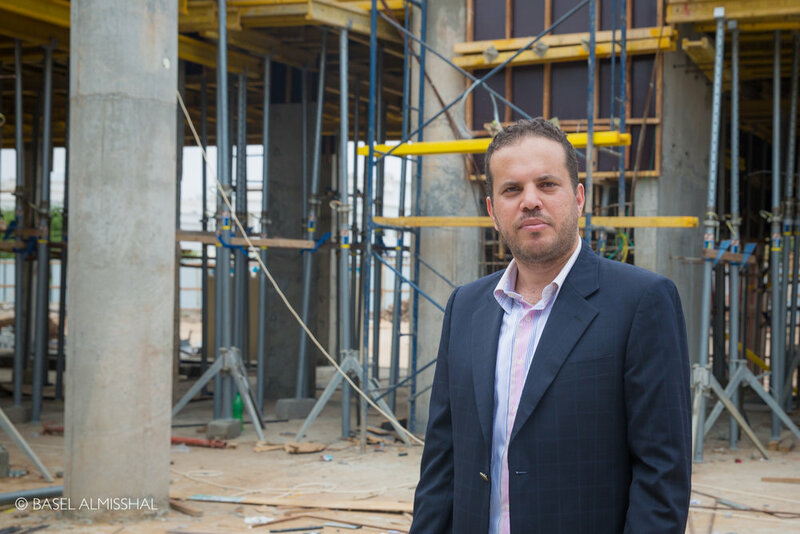 The project includes the architecture and interior design of a new embassy complex and an ambassador’s residence both utilizing modern technologies to produce safe, secure and outstanding facilities while adhering to the nobility of Islamic architecture in Palestine and Oman. The chancery professionally serves diplomatic function and is designed as a community centre for Palestinians in the diaspora with facilities to host cultural and social activities. The embassy features a 180+ person auditorium, an art gallery, a library and VIP quarters with state of the art security features. 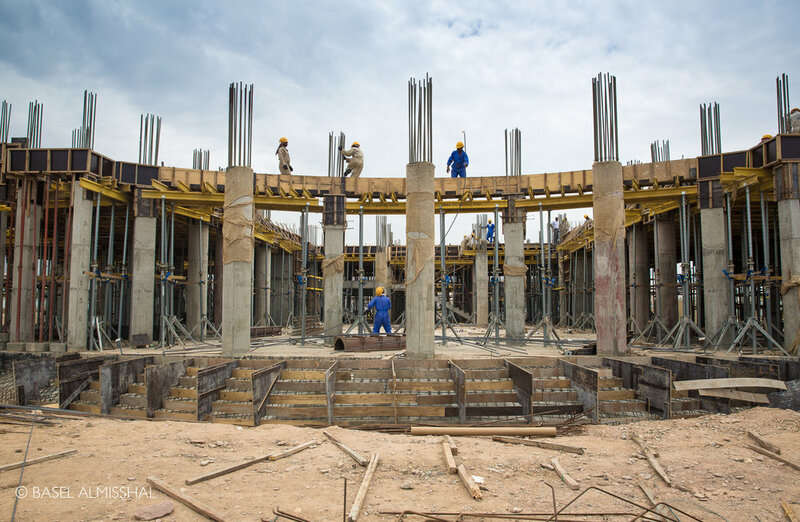 Locally sourced materials have been used throughout the building such as Omani marble, Jerusalem stone, terracotta tiles, wood, steel and glass. 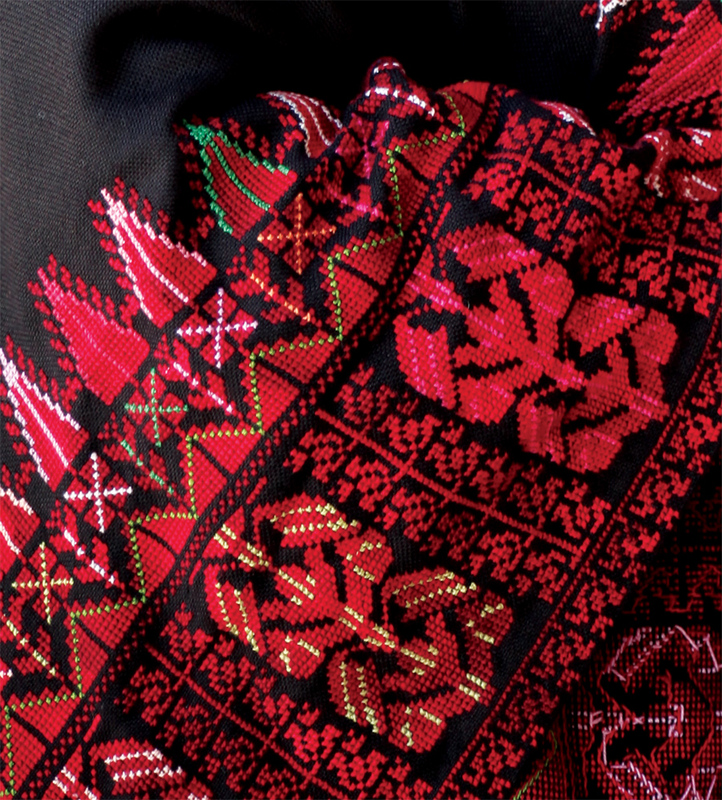 The traditional cross stitch design similar to that seen on Palestinian dresses has inspired some of the detail elements in both the exterior and interiors. The new 8000 sq meter Palestinian embassy site is located in the Embassy Quarters in Muscat alongside several other foreign embassies including the American Embassy, the British and the Indian embassies. Planning and integrating the interior design of a project from the very beginning of the concept development stage is essential to our work at StudioBasel. We believe in designing functional spaces, both interior and exterior, that work together in unison and harmony and should be viewed and felt as one- without an underlying disconnect in style and aesthetic value. Our design approach to the interior creates a welcoming and friendly space for the embassy staff and its visitors with plenty of natural light and ventilation. Sufficient use of space and functionality are at the center of the design with precise attention to the organization of different functions and security concerns. The landscape concept for this project is very significant as it ties to the land, a major plight as well as a major source of pride for the Palestinian people. The landscape of the embassy site is not simply a secondary exterior decorative element but rather a very important symbolic feature of the Palestinian land and the agricultural/ farming villages that are prominent in the native country.